There might be people considering “dolce far niente” overrated. After a stressful 15 months completing an MBA whilst working full time, La Bonne Vivante decided to actively indulge in complete passiveness. Sounds like a contradiction? 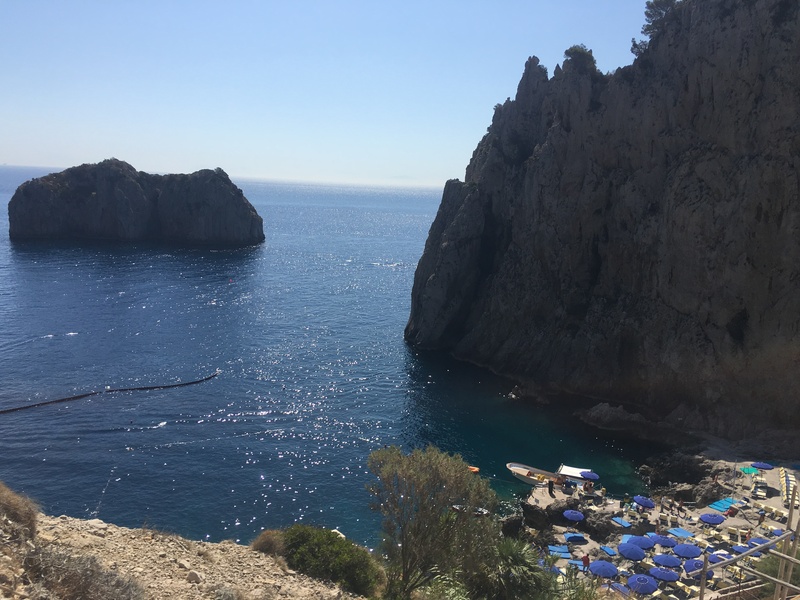 Not at all, it is an art to elegantly display yourself on a sunbed at a fashionable beach club, take a “tuffo” in the dark blue, crystal clear waters and contemplate difficult decisions such as whether lunch will be fish or linguine all’astice. Normally an active traveller, this week was all about delightful passiveness and I loved every minute of it. 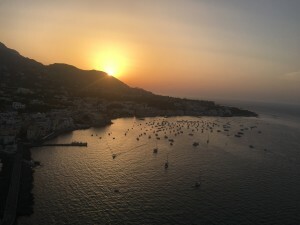 Let’s begin our journey where it started, in beautiful Positano. Positano is lives and breathes stunning views. 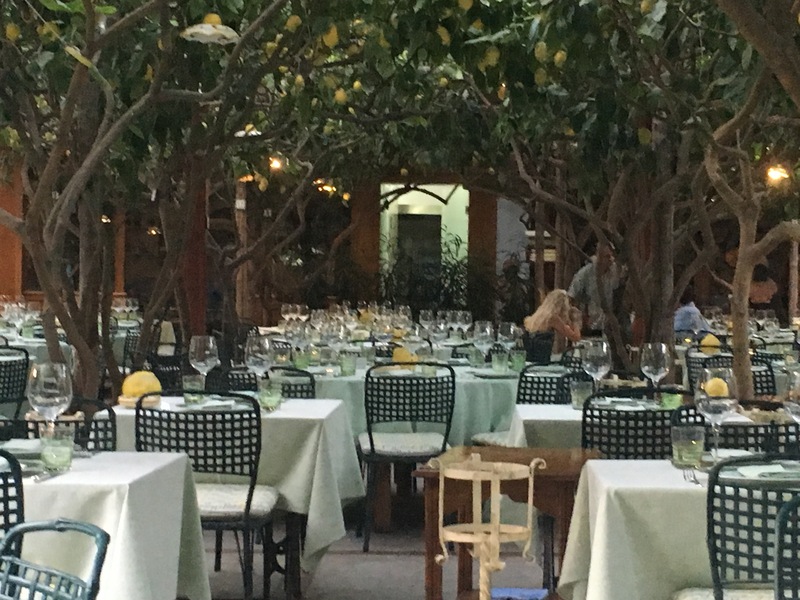 Stroll around the pittoresque town, have an aperitif at the Sirenuse, Positano’s most luxurious hotel and pick a restaurant for dinner. This might a tough decision because most restaurants here offer fantastic pasta and seafood and beautiful views. There is also some last minute beach outfit shopping to be done here and you’ll find some cute little shops offering cotton dresses, hats and sandals. There are plenty of great restaurants at Positano. This time we had dinner at Next2 which offers an elegant setting, fantastic fish, friendly service and excellent truffle pasta, a rare non seafood option for my seafood detesting travel companion. This time La Bonne Vivante stayed at Hotel Miramare. Its rooms have a decisively local appeal with stone floors and Italian décor. The balcony offers a spectacular view and as this hotel is not so high up it is only 5 minutes to the beach and ferries. From here, head to Capri, the most glamorous of the islands in the Napoletanian sea. The ferry takes approximately 1 hour and offers scenic views. 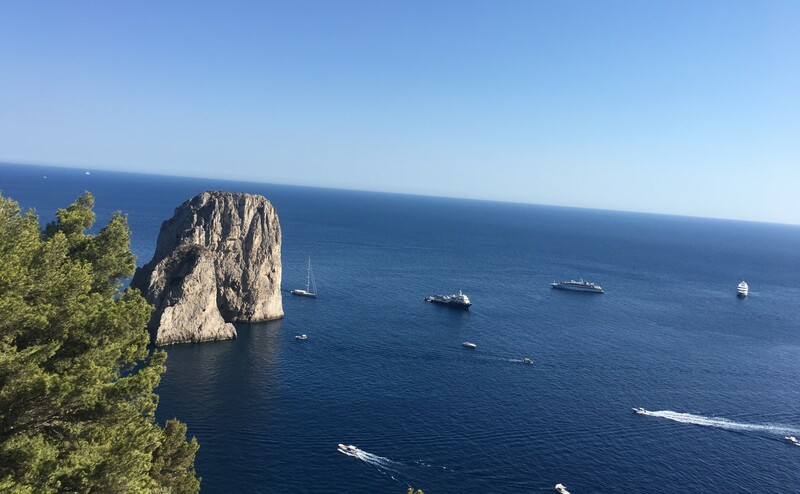 Upon arrival you will be met with Capri’s epic beauty which has inspired countless movies and made it a jet set all time favourite. During the day the island can feel rather cramped due to the many day trip tourists which land here by ferry from Sorrento, Positano and Ischia but it depends where you go and there are places which offer a more intimate feel even in high season. 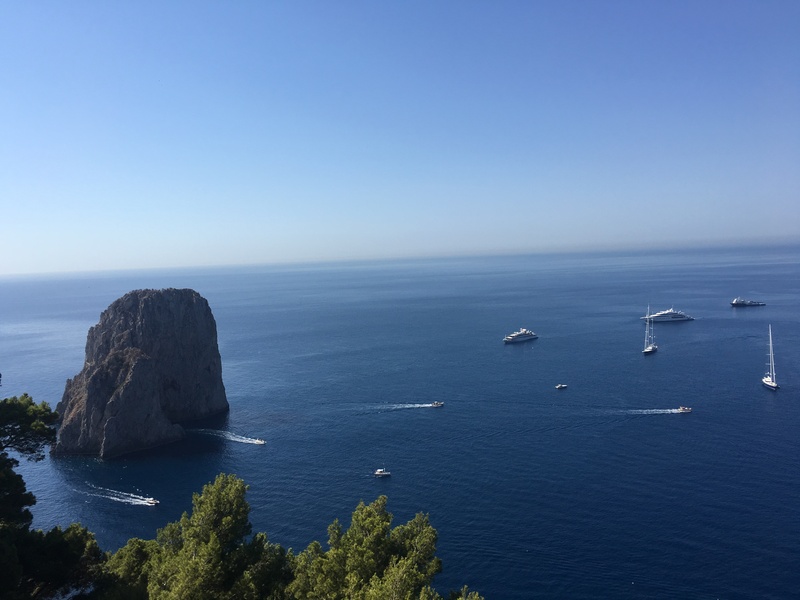 Explore by sea: No Capri vacation is complete without a boat trip. A half day trip will cost approximately 250 Euros. 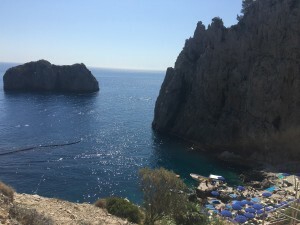 A boat trip provides an overview of the island’s shape and will take you to the most important grottos, amongst them of course the famous grotto azurro. There will be a 20 minute waiting time to switch to one of the small wooden boats which will bring you into the grotto azurro. Mind the entrance which is very small and your boatman will ask you to lean on the floor so that you don’t dump your head. Inside the grotto enjoy the shades of blue which have made this grotto so famous. Swimming isn’t allowed here but take a swim at the Grotto Verde which offers beautiful green water. Have your captain drop you off at one of the beach clubs for lunch and spend the rest of the day there. Lounge in the sun: Spend the day at the beach club. Fontelina is Capri’s most famous beach club but if you can’t score a sun bed there Da Luigi is only a few meters from Fontelina. In my view it offers more stunning views right in front of the famous Faroglini roks, a more relaxed atmosphere, a great restaurant. 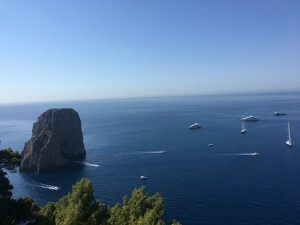 As the name suggests, Restaurant Panorama offers a breathtaking view of Capri and traditional Italian cuisine. After 3 days we leave this stunning island for Ischia, Capri’s more rustic sister. Only a 1 hour ferry ride, Ischia couldn’t be more different. It responds to Capri’s glamour, international jet set steep prices by being proudly Italian, authentic and affordable. A rather large island, it is advisable to rent a car for a round tour of the island and visit its thermal baths and beaches. 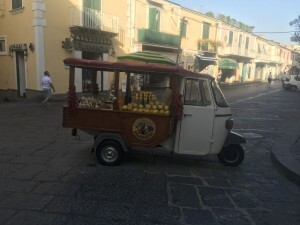 At night head to Ischia town to stroll around the busy streets and have an aperitif. Visit Sant Angelo by boat from Barano which will only cost you a 3 Euro ferry per person or drive there by car. The cute little village boasts some romantic restaurants and elegant shops. 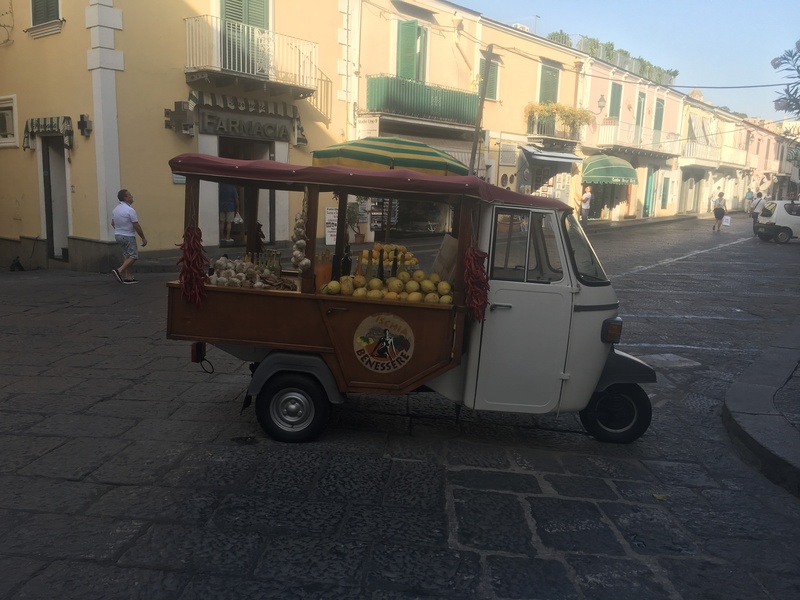 Despite its rustic appeal, Ischia houses two 1 star and one 2 star Michelin restaurants. Our favourite restaurant by far and a definite must visit is Il Monastero which sits on top of the Castello Aragone, one of Ischia’s most famous sight s and offers absolutely breath taking views, fantastic food which can hold it up with Michelin starred restaurants coupled with very affordable prices and extra attentive staff. Before coming here for dinner visit the tower which is stunning. 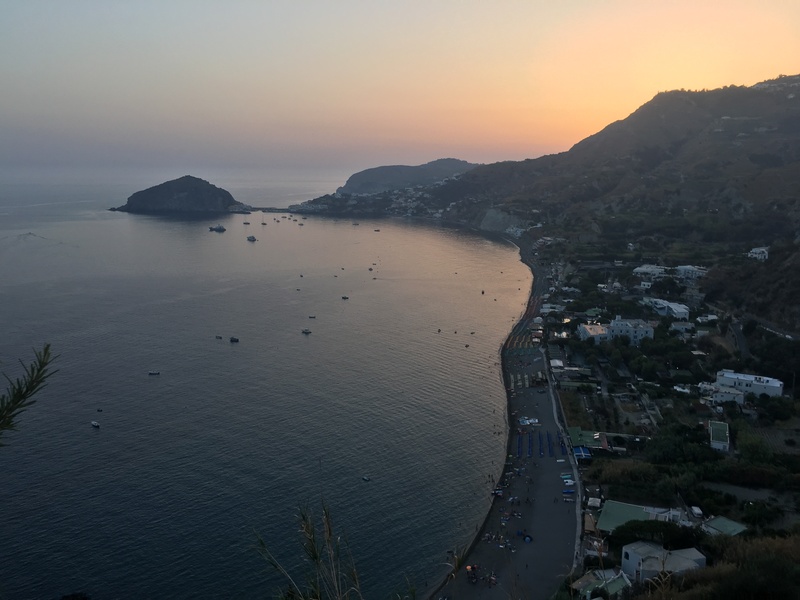 Bring enough time as it will take at an hour to visit the tower and take in all of the beautiful views of Procida, Naples and the Vesuvio. 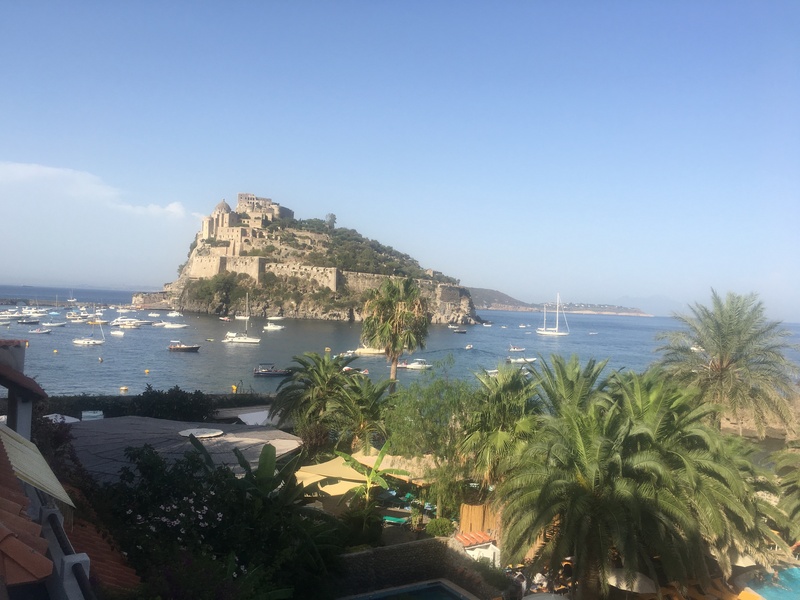 Hotels in Ischia tend to be more rustic than in Capri or Positano. If you prefer a more glamorous choice head to L’albergo Regina in Lacco Ameno or to Terme Manzi. With this we say Arrivderci and vow to return soon.